Time now for a couple more questions from readers. Troopmaster has a place in the adult records for a leader’s social security number. Should we be recording the SSNs of our adults? It seems to me like that’s private information. A unit has no reason to retain Social Security numbers of its adult members. It has no use for them, and in fact it can be a liability to the unit when stored in a database such as Troopmaster, which can typically be accessed by multiple persons in the unit. This is why the SSN field is blacked out on the unit copy of the application form – units are expected not to file that bit of info away. The only legitimate use of an adult member’s Social Security number is for the council to complete a criminal background check on the applicant, and the only persons authorized to see it are the council registrar or other high-level employees with specific access to private data. and the accompanying reference to the number being blacked out on the unit and chartered organization copies of the application. If your unit is recording the SSNs of its adults, they should be securely deleted. 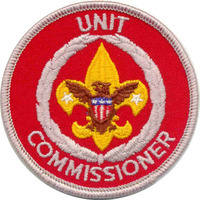 Is there a requirement that merit badge counselors have to provide their BSA ID number when signing a completed blue card? There’s a place for it in Troopmaster but I don’t see any place on the blue card for the ID number, and there’s nothing in the latest Guide to Advancement that mentions it. First, let me note that you did what I would do – find the authoritative official resource and consult it. In this case, it’s the Guide to Advancement. The 2013 revision is the most current. Section 7 of the Guide describes the merit badge program, and subsection 7.0.0.1 details the procedure for merit badge counselors to give their approval. The procedure states that the counselor signs the blue card in two places, but makes no reference to providing his or her BSA ID number. I’m not sure how having the counselor’s ID number would help, but doing so is unnecessary because the process for approving and recommending merit badge counselors ensures that they are legitimate. A potential counselor completes an adult application and a Merit Badge Counselor Information Sheet and submits it to the local council. The council advancement committee reviews and approves the counselor’s application. The advancement committee issues a list of approved counselors and provides a copy to the Scoutmaster of every troop. The Scoutmaster recommends one or more counselors from this list to the Scout when he or she issues the blue card. Requiring a Scout to obtain a counselor’s ID number is effectively adding to the requirements for the merit badge. The existence of a database field for this information in Troopmaster doesn’t constitute a BSA requirement to do so. 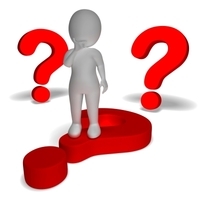 If you have a question that you’d like me to answer, get in touch with me via the contact form. Next PostNext Thank you committee chairs!